Contact us on 087 684 1339 or email us to enquire about the wedding video packages and prices available. Every bride and groom are unique as is their wedding day. We treat every wedding as if it were our first so we won’t miss a thing whilst always remaining almost invisible to allow both you and your guests to enjoy your special day. 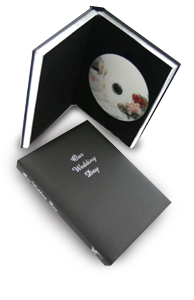 Video Memories unobtrusively document your wedding day for you, right down to those sentimental moments, which will make your wedding DVD extra special. Our professional, obliging videographers have years of experience in documenting weddings, and will capture your day in the best possible way. High Quality 2hr Video on DVD. High Quality 2-3hr Video on DVD. DVDs for all our packages come in presentation cases and each disc is personalised. We have an extensive music library containing everything from the most modern or hits to the classic love songs. Every wedding DVD is special so if you have any particular requests please let us know! We will do our best to accommodate your needs. Enquire now about availability for 2019/2020.